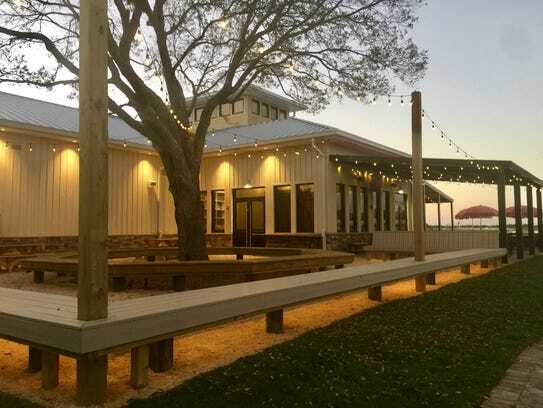 Table & Tap is open at the still-under-construction Babcock Ranch in Charlotte County, and already this middle-of-nowhere restaurant is drawing in diners. The hardest part of opening a restaurant in the middle of nowhere? “I’d use this house across the street as a GPS point. Those poor people must hate me,” said David Rashty, executive chef of the new Table & Tap at Babcock Ranch, as he gestured across the beer garden toward State Road 31 just north of the Lee County line. Google Maps shows Table & Tap, its adjacent town square, the elementary school being built down the way and the maze of roads surrounding it — some newly paved, others still dirt — as a vast swath of green. 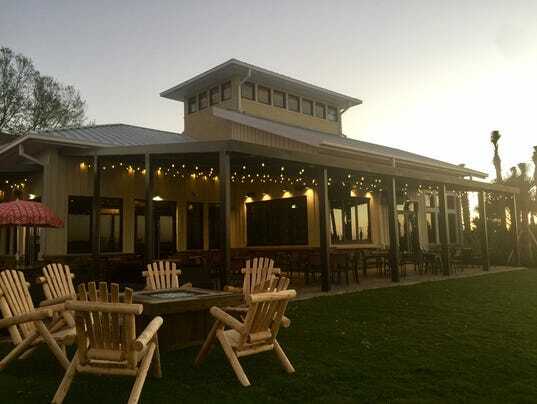 In reality, the restaurant is one of the first businesses to open in Babcock Ranch, the sustainable, eco-friendly, soon-to-be town on the Charlotte-Lee border. 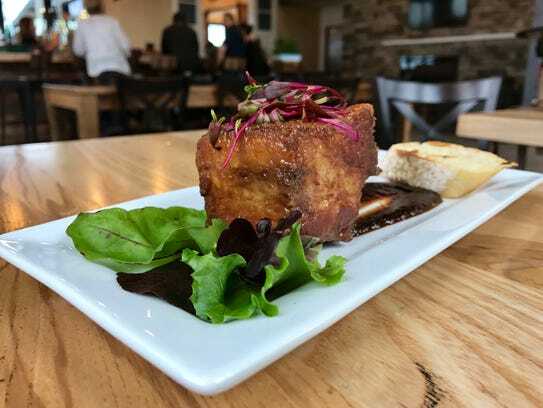 Pork belly, bottom, and fried goat cheese have been among the most popular dishes at the new Table & Tap. The restaurant opened March 1 inside the new Babcock Ranch. 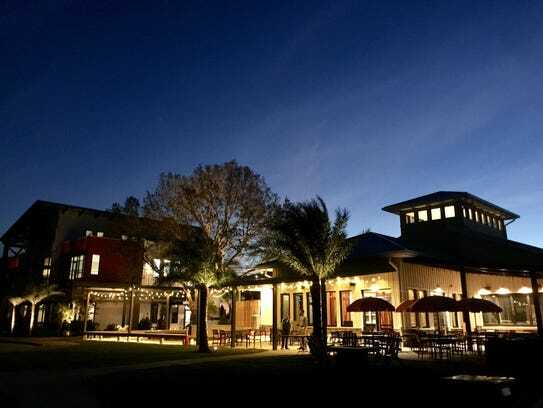 “Having a quality restaurant, a nice place for the community to congregate, this is a key piece,” said Lisa Hall, a spokeswoman for Babcock Ranch and its developer, Kitson & Partners. Table & Tap opened quietly March 1. A few days in, with no fan-fair, no press releases, not even a Facebook post, this middle-of-nowhere restaurant was busy. 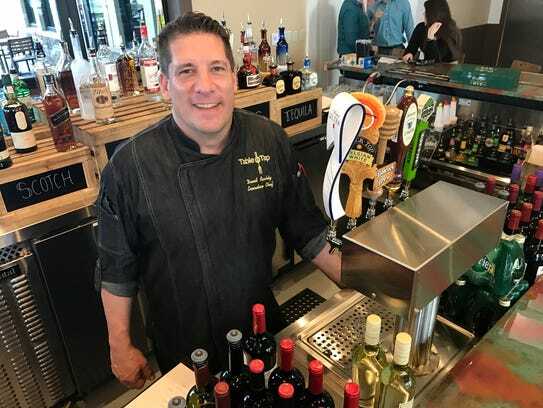 After a lunch rush last week, Rashty, formerly of Jack’s Farm to Fork on Fort Myers Beach and the acclaimed Michael’s Genuine in Miami, dusted off his black chef’s coat and sat down near the bar. “This is something else, isn’t it?,” he said, looking out onto Lake Babcock as massive dump trucks kicked up clouds of dust on the opposite shore. 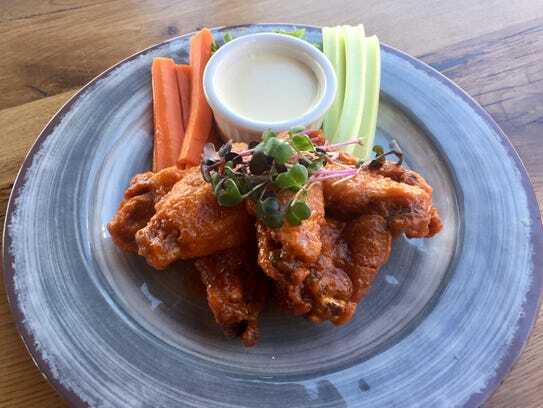 That means when whole chickens come in from Circle C Farm in Felda, the meat is used for sandwiches and salads, the wings are fried and slathered in Rashty’s mango-infused barbecue sauce, and the bones and innards are tossed into the stock pot for Table & Tap’s scratch-made chicken soup. That means buying from the nearby watermelon farms along SR 31. And teaming up with Wonderful Bees in Punta Gorda, giving its beekeepers space onsite to establish hives, and, in turn, using the honey produced by those hives to sweeten dressings and cocktails and the occasional wedge of tequila-infused Key lime pie. Rashty has proven a good fit for Babcock. A financial-advisor-turned-classically-trained-chef, Rashty started caring deeply about food more than a decade ago when he was taking care of his father who died of pancreatic cancer. The loss pushed him to go to culinary school in New York, and started him on a mission to help fix the many aspects of the national and local food chains he sees as broken. “This area is behind the rest of the country and someone needs to start having these conversations, not just educating people but chefs about sustainable products, good food, food raised properly,” Rashty said in an interview last fall. He serves as president of Slow Foods Southwest Florida, and at Babcock he’s made a push to develop five of the community’s almost 18,000 acres into a garden for growing Table & Tap’s produce. Herb gardens are in the works, too, to be housed in containers along the patio. “If we can’t get suppliers to come to us, we’ll just have to grow it ourselves,” Rashty said, laughing. His menu isn’t all honey and herbs, though. 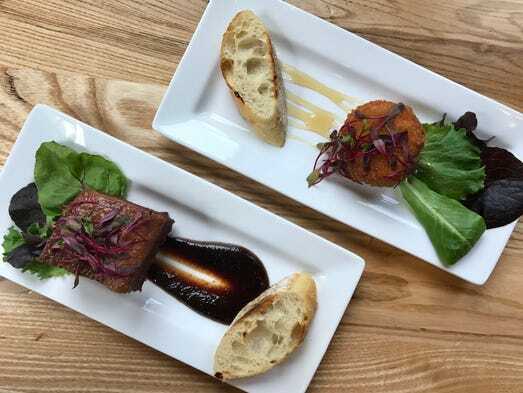 Most of Table & Tap’s small plates are in the $7-$10 range. Salads range from a $6 watermelon salad (which Rashty said will be sourced locally as soon as watermelon season hits), to a $12 arugula salad topped with a paillard of Circle C chicken in a basil vinaigrette. Dinner entrees are priced between $14 and $33, with a vegetarian tagliatelle at the low end and Gulf tilefish in a saffron tomato sauce at the high end. Duck, braised short ribs, bacon-wrapped meatloaf, and Gulf shrimp and grits fill in the middle, all priced at $17 or less. This 153-seat restaurant is just the first eating outpost to open at Babcock Ranch. Slater’s Provisions & Goods, a marketplace featuring packaged foods, grab-and-go dishes, breakfast and a liquor store, is coming in July. A catering and event kitchen is also planned. Babcock’s first residents are scheduled to move in this May. That’s right — no one even lives here yet. “I practically live here,” Rashty laughed. Find it: The restaurant doesn’t yet have a GPS-friendly address. From Fort Myers and points south, follow State Road 80 east of Interstate 75. Turn left to head north on State Road 31. Babcock Ranch is about four miles north of the Caloosahatchee on the right (east) side of the road. Follow the signs to Founders Square. The restaurant sits behind Curry Creek Outfitters on Lake Babcock near the band shell.